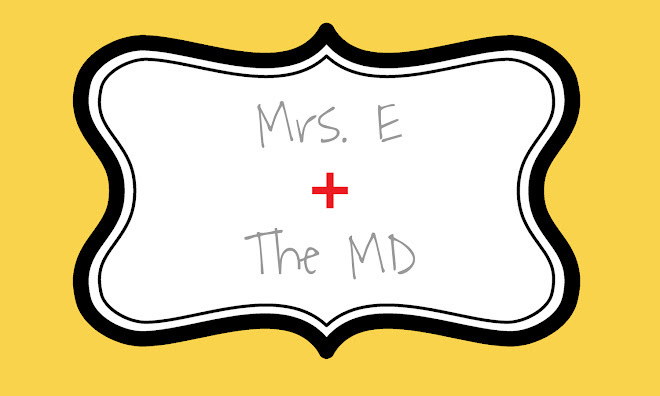 Mrs. E and the MD: 30 Weeks! I haven't taken my 30 week picture yet...mainly because I haven't had a photographer around :-( Luke has been getting home close to midnight each night this week, so he doesn't see me still looking decent (or even awake) when he gets home. Hopefully we will get a good one tomorrow and I will post it. Total weight gain: According to MY scale, 28 lbs. Sleep: I am sleeping better than I have in a long time, thanks to the big snake pillow Candace is letting me use. Best moment this week: Childbirth class with my husband! Movement: A lot! You can see it through my clothes and Luke feels the baby move at night even when I am asleep and don't realize it is going on. Gender: I am still going with my girl feeling, but the heartbeat was 135 this week at my appointment, and the NP did say that it was a "typical" boy heartbeat. Maybe we have a Max afterall! Belly Button in or out? Still in a little bit. I don't think it's going to pop out. Cravings: They are stabilizing. My appetite isn't raging, and I am not pining away for any one thing in particular. What I miss: The freedom to go tanning. I know, it's SOOOOO bad for you....but I am pale and I don't like it! What I am looking forward to: The maternity suite tour in childbirth class on Monday! And our maternity pictures!